The FodderTech System is a highly developed, controlled environment system designed to produce pesticide free, nutrient rich fresh fodder quickly (8 day cycle), in commercial quantities, and with less water when compared to traditional crop farming methods. Medivet provides veterinary and pet supplies. 15/09/08 - Wallaton Devons are commercial cattle breeders that deal with the breeding of functional Devon cattle. Wallaton Devons utilise their bulls and females in their own breeding programmes as well as for selling purposes. 12/09/08 - Wynwood Droughtmasters supply cattle that are rich in fertility. Wynwood Droughtmasters sell dams and their progeny. Wynwood Droughtmasters utilise Artificial Insemination (AI) for their breeding and beef production. 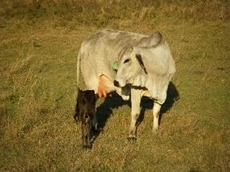 11/09/08 - Yarram Park Genetics deal with breeding and supplying of bulls and sires. The breeding programme aims to breed cattle with an ability to perform and thrive in all conditions. 04/08/08 - Exmoor Shorthorns are involved in breeding cattle with structural soundness, fertility, performance and constitution. Exmoor Shorthorns are members of Shorthorn Group Breedplan.